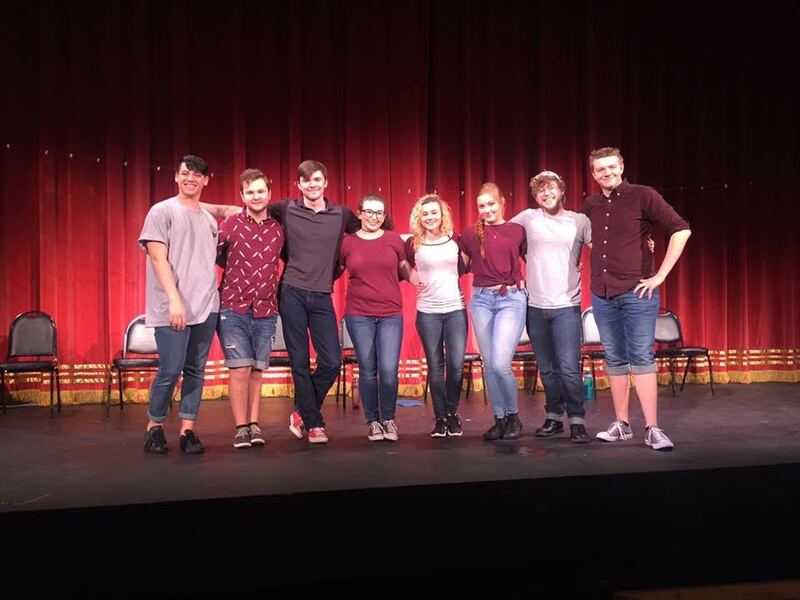 On March 31 and April 1,the National Theatre Honor Society, Alpha Psi Omega (APO), put on a show titled Too Much Light Makes The Baby Go Blind. Directed by Dayja Legg and Olivia Solomon, this unique play is a combination of 30 mini plays placed together that must be done in under an hour. Starting in 1988, and originating in Chicago, it is one of the longest running off-Broadway shows to date. The founder, Greg Allen, said that he came up with the name from a young autistic child he knew who would smash light bulbs and then say Too Much Light Makes The Baby Go Blind. With tons of audience engagement, the stage was lined with each play on a note card, with the numbers facing outward so the audience could yell out which play they wanted to see. Several people from the audience were asked to go on stage and interact with the cast members and the look of surprise and confusion on their faces were priceless. With 30 plays to memorize perfectly with no mishaps, one cannot possibly imagine what it must have been like throughout rehearsals. Sarah Finkelstein, sophomore musical theatre major and a member of APO, talked about her experiences preparing for and performing in the show. Minaret: How long have you been in APO? Sarah Finkelstein: This is my first semester in APO. I’m actually still what we call an ‘understudy member’ since I haven’t been fully inducted yet. M: How often were rehearsals and what were they like? SF: So at first we had two rehearsals a week, one with Dayja and once with Olivia, where we would just run the plays over and over. Once it got closer to showtime we were rehearsing 2-3 hours a night, running the show all the way through. M: Since this was your first time performing something like this, were you afraid that you would mess up and forget which play was which? SF: At first, when we had just started rehearsing, I was a little afraid that I would mix up what lines went with what show. But the more we rehearsed, the more things just sort of clicked into place. By opening night I wasn’t afraid about mixing things up anymore! M: What was your favorite play out of all 30 plays? SF: I think my favorite was Revolution, with Spencer Hubbard and Noah Oakley as the actors and myself calling the numbers. I didn’t really do much for it, but my two cast mates were outrageously funny every time we ran it. It was so hard to stay in character and not just bust out laughing.